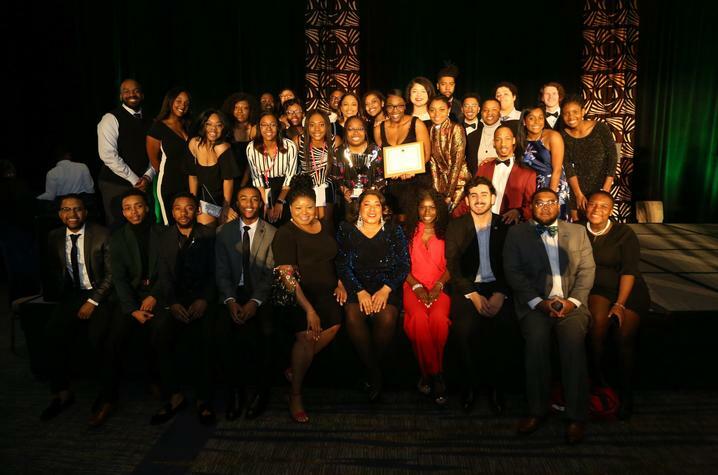 LEXINGTON, Ky. (April 12, 2019) — For the seventh consecutive year, the University of Kentucky MANRRS chapter was named National Chapter of the Year at the 34th annual Minorities in Agriculture, Natural Resources and Related Sciences conference. The chapter is housed in the UK College of Agriculture, Food and Environment. Mia Farrell, interim director of the college’s Office of Diversity and chapter advisor said seven in a row has nothing to do with luck. 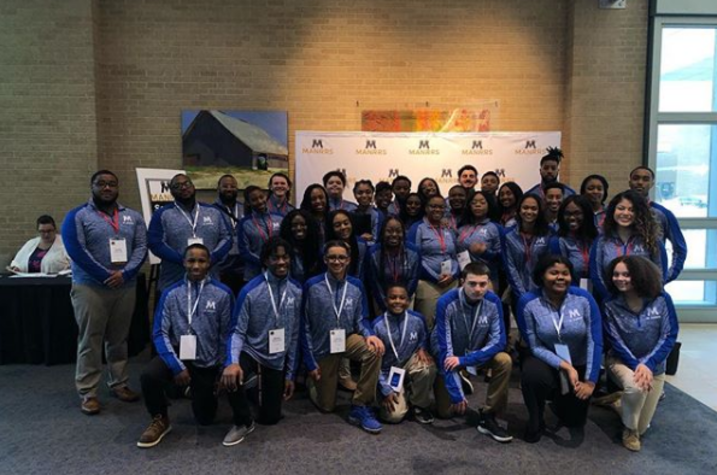 Farrell, co-advisor Ashley Holt and more than 50 UK MANRRS delegates made the trip to the national conference in Overland Park, Kansas, and many brought home awards. Jericho Curry, a senior majoring in community and leadership development, received the prestigious U.S. Department of Agriculture Farm Service Lead Agent Award. He is one of just five members in the nation to win the award. Farrell was elected the 2019-2020 National MANRRS president-elect. Ayanna Wright, a senior business management major and UK MANRRS president, was elected the National MANRRS Region 3 undergraduate vice president. Shannah Marshall, a junior majoring in career and technical education, was named a top 20 Farm Credit VIP Scholar. Francisco Beltran, a junior at Carter G. Woodson Academy in Lexington, placed second in the Jr. MANRRS research poster competition. Dorian Cleveland, a senior at Carter G. Woodson, placed third. UK MANRRS students also received awards in a few case study categories. The chapter picked up first place in the 2019 International Bunge Case Study — winners included Yesenia Moreno, a junior studying agricultural economics; Fabian Leon, a senior in agricultural and medical biotechnology; Kiernan Comer, a senior majoring in forestry; and Eliyah Faulkner, a sophomore majoring in agricultural and medical biotechnology. UK students also picked up first, second and third places in the 2019 Cargill Case Study competition. The first-place team included Moreno; Haley Jones, a sophomore majoring in human nutrition; Khylie Caldwell, a sophomore prenursing student. The second-place team included Brandon Jones, a senior majoring in equine science and management, and Djenayba Diallo, a junior majoring in psychology. The third-place team included Deanna Williams, a senior majoring in natural resources and environmental sciences, Shekaylah Martin, a junior majoring in kinesiology, and Taylor Pratt, a sophomore majoring in biology.